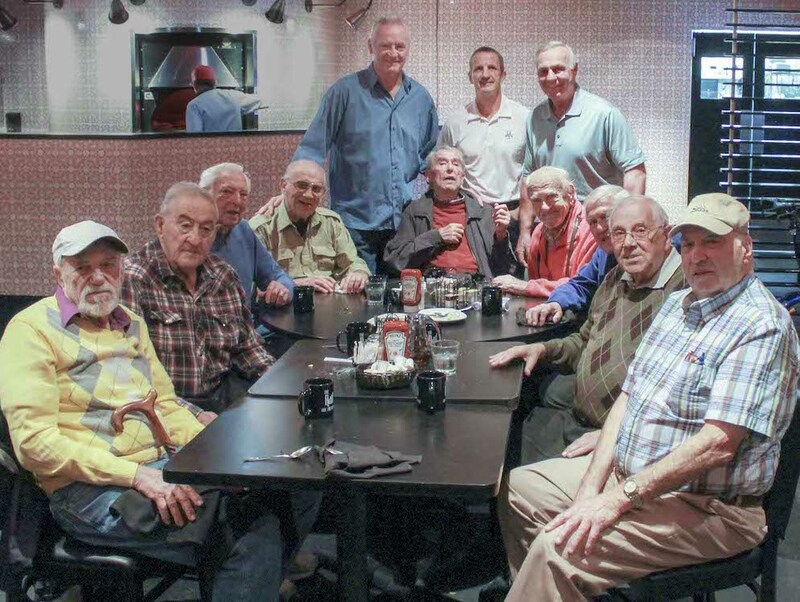 June 9 was a banner day for the nine members of the Côte St. Luc Senior Men’s Club breakfast clubbers. Eight out of nine at the table are hockey fans, and George says, “I wonder if we could get them to come over and take a picture with us,” so I said “why not, give it a shot George,” so he does with much enthusiasm and completely forgets he has trouble walking. After all he’s pushing 94. (George recently started using a walker). Well, he gets to their table and after a couple of minutes the three of them come over to our table and happily get into picture taking mode. After the pictures were taken, Larry and Guy Lafleur sat down and chatted with the ‘boys’. A bit of interesting background about the three Hockey Hall of Famers: Robinson, affectionately known around Quebec as “Big Bird”, is one of the most popular players to ever don the Montreal Canadiens jersey. Having played for the Habs for 17 years, the 6’4’’ defenseman helped lead his team to six Stanley Cups over that span. Lafleur, also known as “The Flower” was the Montreal Canadiens first overall pick in the 1971 NHL Amateur Draft. He won all five of his Stanley Cups with the Canadiens over an NHL career spanning 17 seasons. as the Habs captain from 1989 to 1994. Well, as you can guess, this day will live on in nine memories, including the one that isn’t a hockey fan. Be the first to comment on "Hockey surprise for CSL breakfast clubbers"